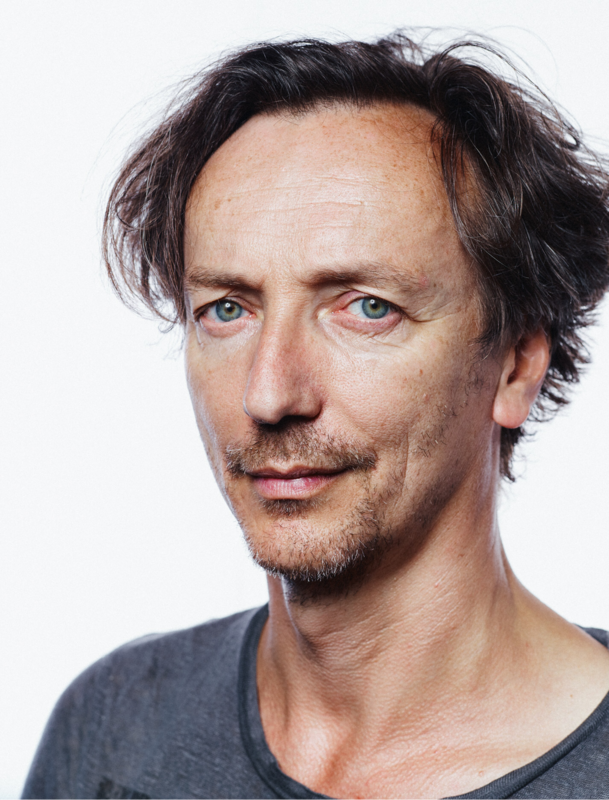 Hauschka lives close by in Düsseldorf, but this will be the first time he’s played at the Moers Festival. The pianist, who was born Volker Bertelmann, will be appearing with the Finnish percussionist Samuli Kosminen, a regular, but not too frequent collaborator. In a manner that’s sympathetic to Dawn Of Midi’s approach, these musicians employ acoustic instrumentation but with an electronic palette in mind. Hauschka reached a point in his playing where firstly he switched from electronic keyboards to acoustic, and secondly, developed the tendency of preparing his piano, after the fashion of John Cage. 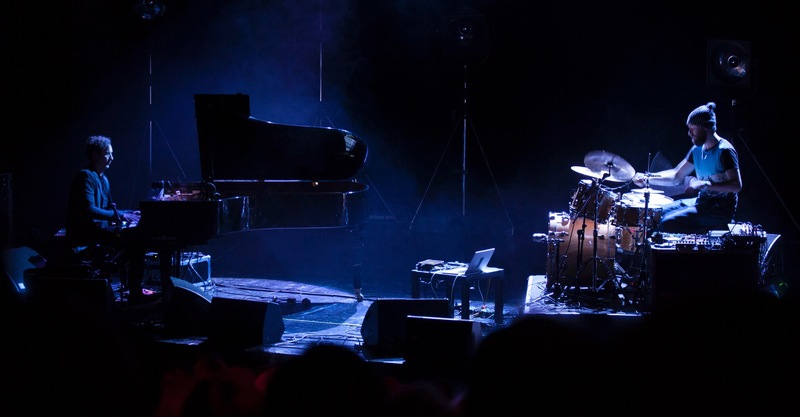 The duo will be improvising, but to make another comparison, they pulsate in a regularly rhythmic fashion, reminiscent of the repeated amassing favoured by The Necks, those fellow instantaneous creators from Australia. In other words, the concept of Hauschka/Kosminen improvisation is not necessarily similar to that employed by most free players hailing from a jazz background. The density of techno, and other beat-based dance-forms is often implied by the pair’s cyclic build-up of percussive mass. 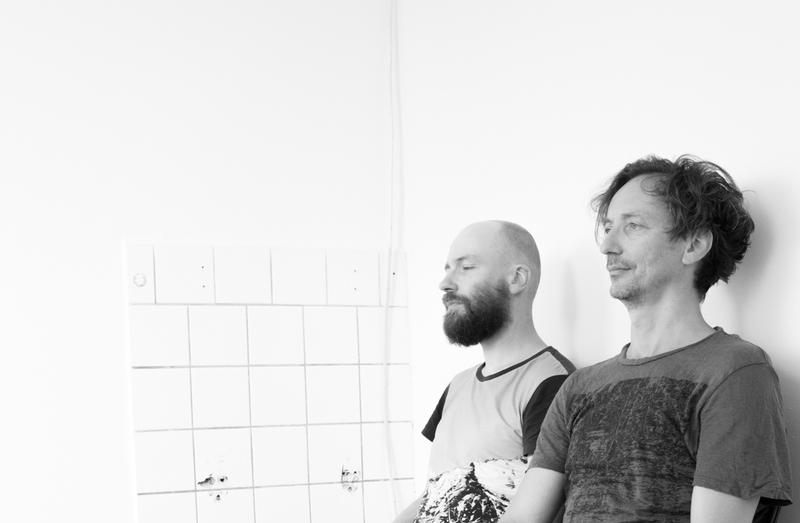 Hauschka suggested that he and Kosminen work together, so they subsequently arranged an American tour, to tie in with the Salon Des Amateurs album (2011), which was quite a beat-orientated affair. They collaborated periodically on theatre pieces, or film soundtracks, and have now recorded some improvised material together, for a projected album release. When Hauschka first started to attach wood, metal, leather, rubber and felt to (and between) the piano piano strings, he was essentially searching for ways to regain his lost electronic vocabulary, following a rebirth as an acoustic pianist. In effect, Hauschka was returning to his childhood roots, but needing to maintain the feel produced by his later electronic work. It was a combination of all his artistic phases so far. Does Haushka ever have any problems with concert halls fearing that he’s intent on abusing their expensive pianos? “People are scared that I’m not treating their pianos well, but I am..! There’s still this sceptical approach, sometimes.” In London, he doesn’t get a Steinway; the promoters hire in a Yamaha. Hauschka likes to spend time in the space before a show, savouring a room’s special qualities, thinking about how his playing will sound. A lot of the time, he appears in intimate places, so he’s looking forward to the larger space to be found at the Moers Festival, considering that greater amplification will give the duo a ‘rock punch’ that they will both enjoy, particularly when they’re probing their lowest frequencies.